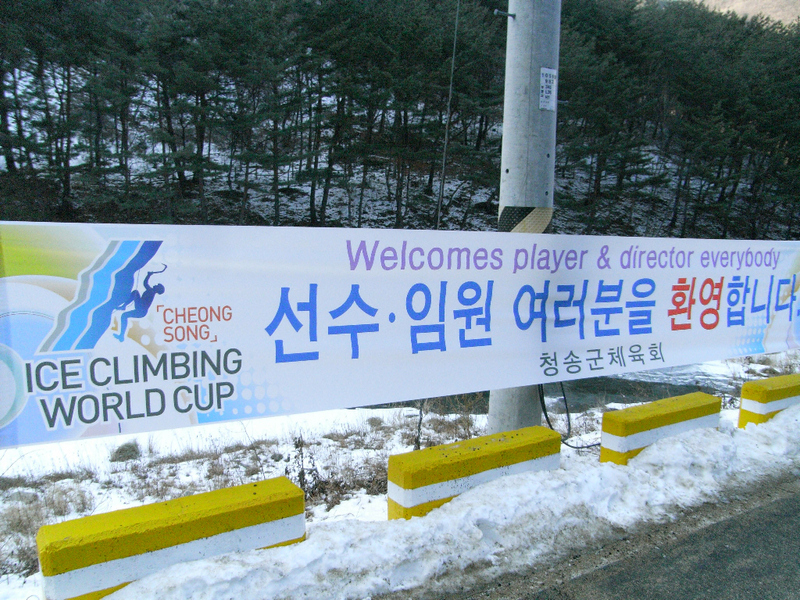 Last weekend marked the start of the UIAA ice climbing season with the first World Cup event in Cheongsong, South Korea. 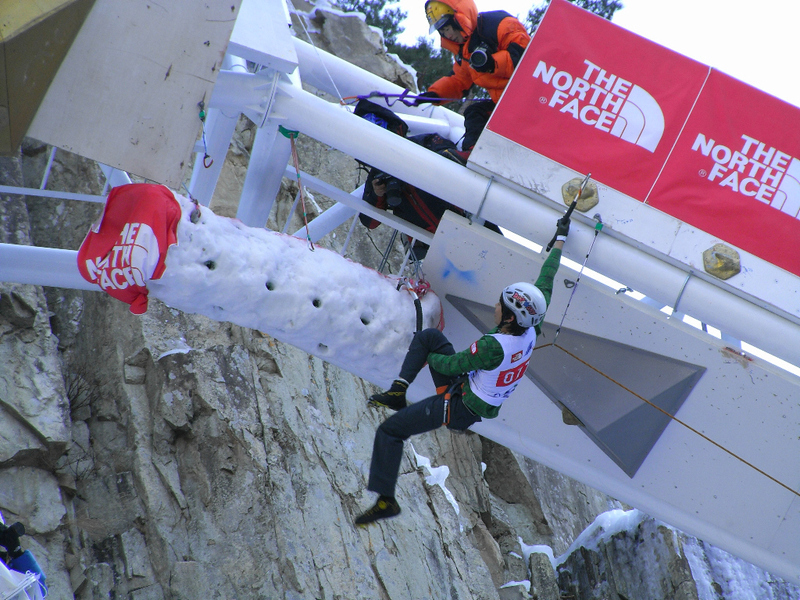 While the mixed/ice comps in Ouray and Canmore dominate the collective consciousness of North American climbers the UIAA events are where the rest of the world looks to for super technical mixed climbing and blazing fast ice speed climbing. 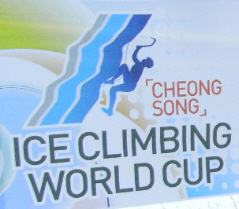 This was the first time a UIAA World Cup ice climbing event was held in Asia, and Korea made sure to show the rest of the world that they are to be taken seriously. 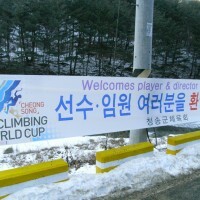 The event was held in the sleepy town of Cheongsong, which is in the midst of transforming itself into a winter sports mecca. 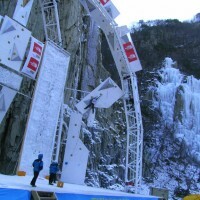 The comp was situated in front of a gorgeous backdrop of manmade ice and hard natural mixed lines in the Cheongsong City ice park. 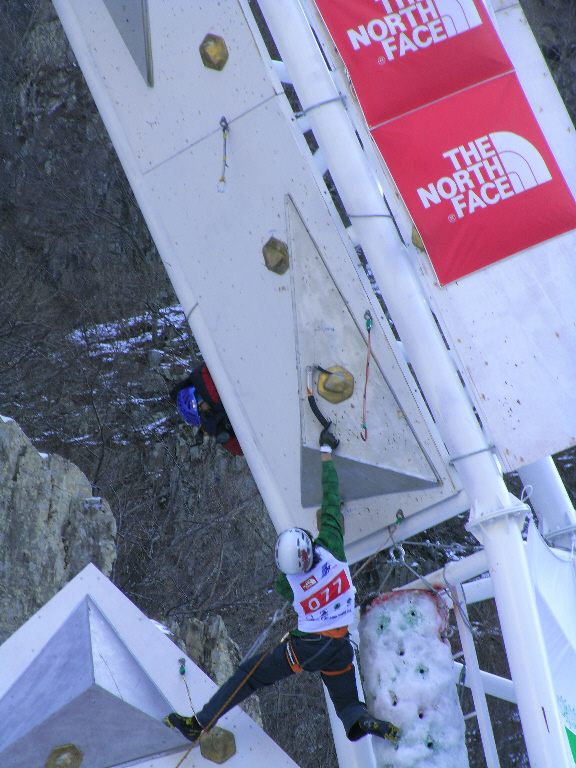 While it was a beautiful setting, it only highlighted the contrived nature of the direction that the sport is heading: none of the natural ice or rock was touched save for the dozens of first time climbers trying out demo gear on WI3 toproped routes. 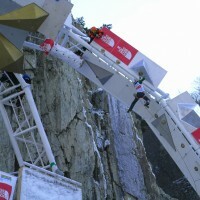 The World Cup routes were built onto a freestanding metal structure comprised of plywood, plastic and the now ubiquitous suspended ice barrel; none of which occur on any natural route. This event can be held in any stadium that gets cold enough to maintain ice (are you listening Olympic committee?) and weather conditions no longer need to be a factor. 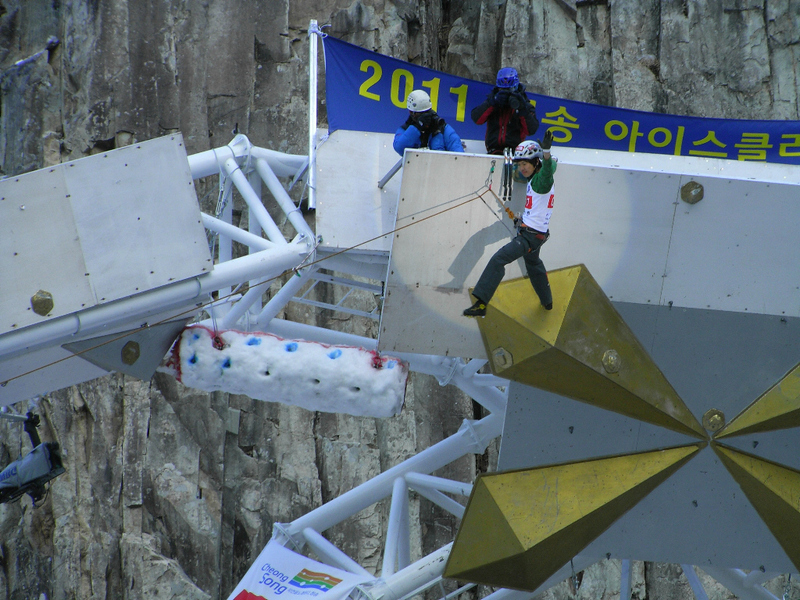 Despite these shortcomings (to a purist at least), the finals were spectacular to say the least, and if ice climbing has any chance of becoming a sanctioned Olympic sport this is the path to its legitimization. The speed climbing was dominated by the Russians who seemed to be bred and trained since birth for sprinting 20m of vertical ice in a secret program that brings to mind Ivan Drago in Rocky IV. 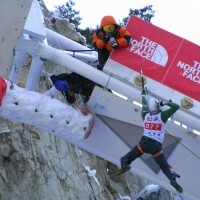 Russian men and women hogged the podiums with Maxim Tomilov and Irina Bagaeva each taking first. This event is rather pointless as the actual height of the ice can vary between 18-25m at an official event, and there is no one official best or even world record time to beat that people can talk about like they do with 100m Olympic sprinting. 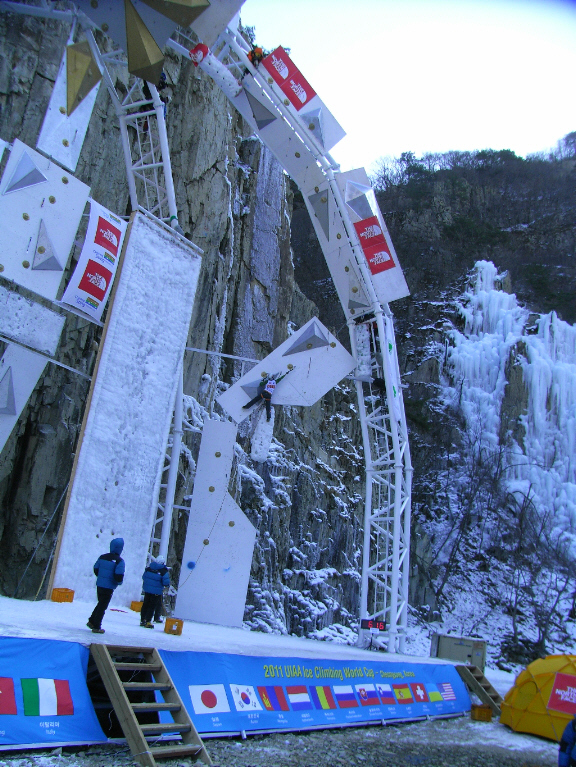 Despite these criticisms, it is a fun event to watch and will surely make ice climbing a more palatable spectator sport to the uninitiated. 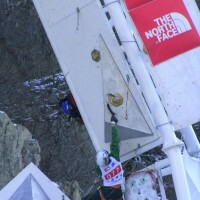 The difficulty portion had a more equal-opportunity and international feel to it as climbers from the whole Northern hemisphere were able to compete on a level playing field. 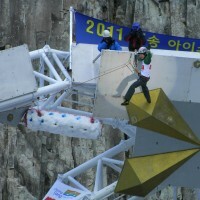 Korean climbers Park Hee- Yong (men) and Shin Woon-Sheon (women) each placed second, furthering Asia’s image as an emerging climbing powerhouse. 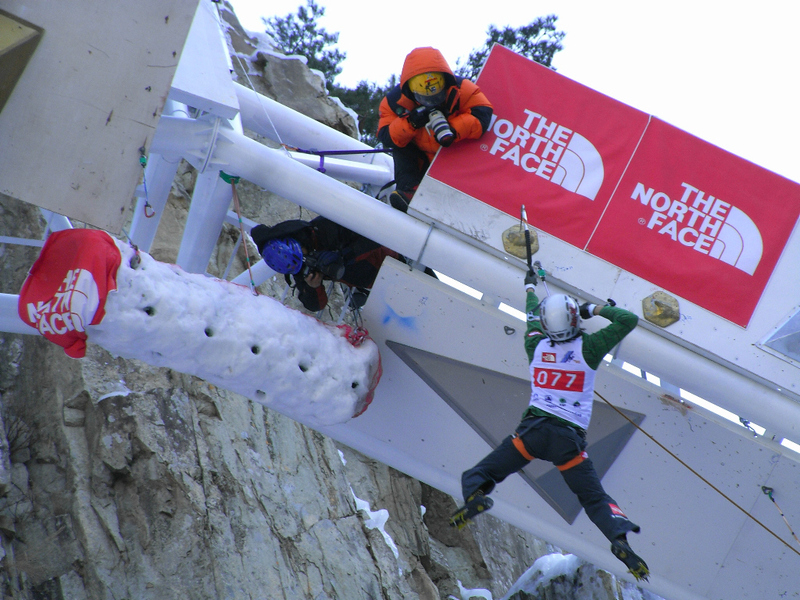 Last year’s winner and this year’s favorite, the Austrian Markus Bendler, narrowly edged out Park for first place while Russian newcomer Maria Tolokonina took top honors for the women. 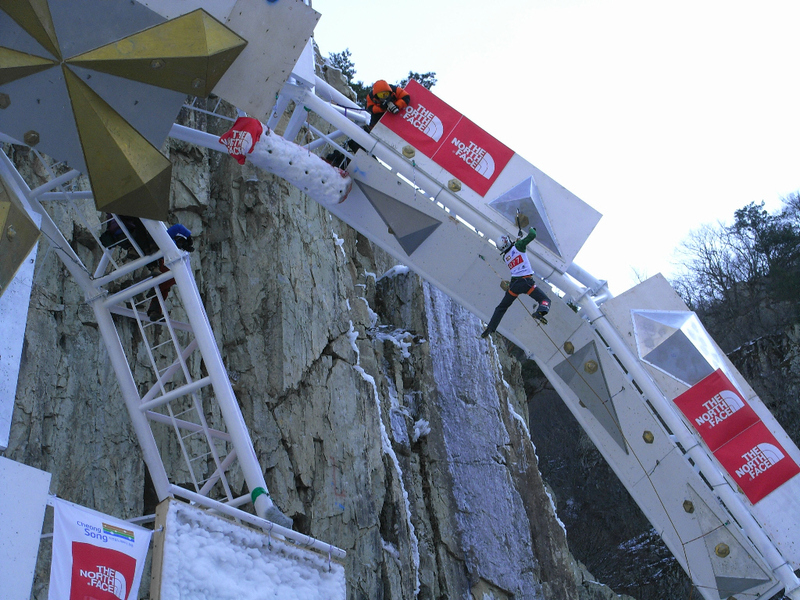 While an event like this would be entertaining to watch, the emaciated speed climbers and purely gymnastic mixed climbers would seem strange and out of place in North America. There is a growing rift between American mixed climbing and the rest of the world which is akin to Europe’s sport climbing dominance in the 1980’s. Hopefully America will embrace this style of competition and work on becoming a regular host of a World Cup event in the future. Despite competition mixed climbing’s inherent deviation of actual rock climbing by competing on artificial structures, the ultimate outcome will likely be the same as the effect it had on sport climbing: the boundaries of what is possible will be pushed and new, hard routes will go up in places that really matter: real rock and in the mountains.